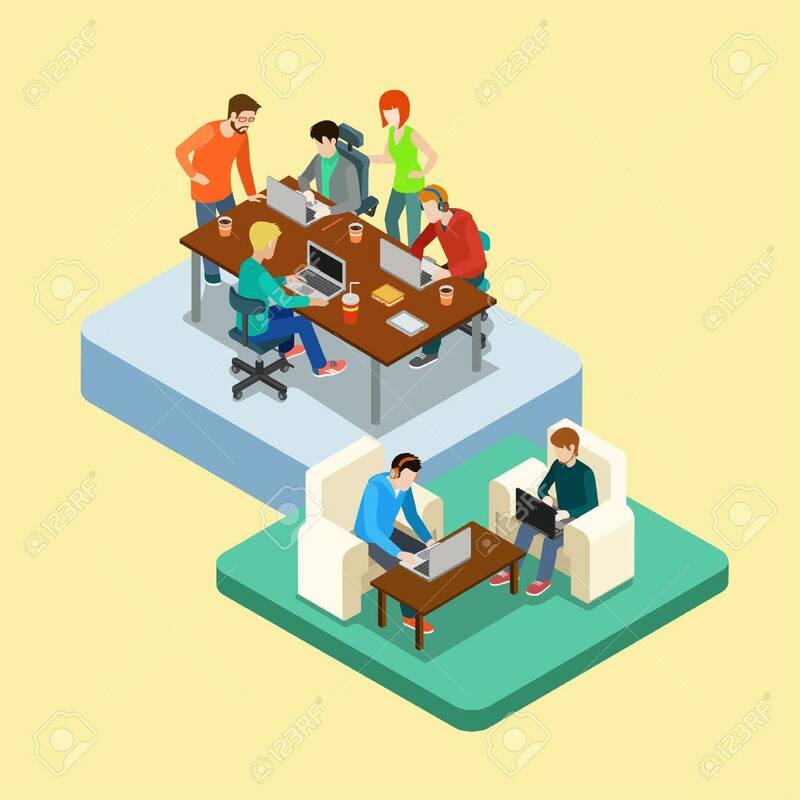 Coworking Flat 3d Web Isometric Infographic Concept Vector. Co-working.. Royalty Free Cliparts, Vectors, And Stock Illustration. Image 48578759. Vector - Coworking flat 3d web isometric infographic concept vector. Co-working groups of people on two locations. Office of advertising agency work process. Creative people collection. Coworking flat 3d web isometric infographic concept vector. Co-working groups of people on two locations. Office of advertising agency work process. Creative people collection.